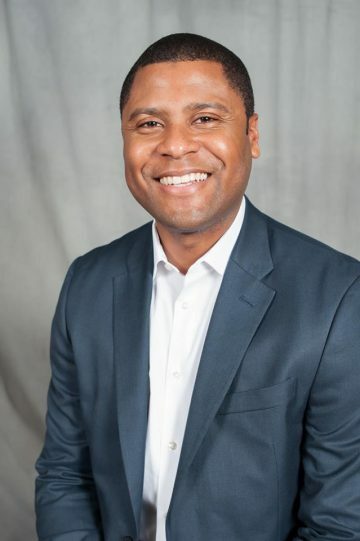 Christian Motley has spent a career committed to education advocacy and community change with experience on the local, state and federal level. He got start as a student leader at Berea College leading a youth leadership program across the Commonwealth. Christian has served in the administrations of both Governor Steve Beshear and President Barack Obama, fighting for quality early childhood education and expansion of cradle to career initiatives aimed at expanding opportunity for under-served students – driven by the idea that every child can succeed. He is proud to have been a part of the team that took a leadership role to advance My Brother’s Keeper, President Obama’s initiative to create pathways of success for young men and boys of color. In 2015, Christian worked with the Kentucky General Assembly to pass legislation to improve access to high quality early care and education. Christian’s advocacy also led him to the Kentucky Education Association, where he advocated to fund our schools, resource educators in the classroom, and fight for retirement security. Today, he works nationally to support place-based efforts to wrap whole communities around the whole child with data-informed approaches to achieve results for kids. Christian serves as a Big Brothers, Big Sisters mentor, board member for Lexington’s On the Move Art Studio, Big Brothers, Big Sisters of the Bluegrass, and on Commerce Lexington’s Leadership Lexington Youth steering committee. 1. Do you support prioritizing infill/redevelopment as Lexington’s primary growth strategy? Under what circumstances would you support expansion of the Urban Services Boundary or Rural Activity Centers? As Lexington’s population grows, the question is not if we grow, but how. And in this critical moment, the decisions we make today determine what our city will look like for decades to come. We must be both conscious stewards and champions, recognizing the tools available to us to manage a smart growth strategy. With over 17,000 acres of vacant, undeveloped and underutilized land inside the Urban Services Boundary, I believe that Lexington should prioritize infill and redevelopment as laid out in the Goals and Objectives of the 2018 Comprehensive Plan. I would support incentives, particularly for projects that promote housing affordability and inclusionary design. 2. What specific recommendations do you have to protect the character and context of existing neighborhoods while diversifying our housing stock to meet the needs of our community? I believe that for Lexington to be the best place to live, work, and raise a family we need new leadership that will see our people as our greatest strength. I want to work with stakeholders to develop strategies that invest in children, grow economic opportunity, and build safe and healthy neighborhoods across our entire community. Lexington has seen tremendous growth in recent years, but I do not believe that our community can be all that it should if that success does not reach down and across every neighborhood in our city. I believe local leaders must advance a smart growth strategy that does not displace or leave our people behind. Let’s grow in way that is informed by greater input from and collaboration with our neighbors. Let’s incentivize inclusion and dynamic design, promote green space, walkability and connectivity – ensuring that everyone from retirees to young children have safe routes to schools, libraries, and parks. 3. What specific recommendations do you have to address Lexington’s affordable housing issue? In a recent report from the Lexington Fair Housing Council Report, Locked Out, they raised housing instability as a key issue. They named that as many as 19% of renters could be evicted in an average year, and those who experience eviction of 11-22% more likely to also experience job loss. This is an economic issue, and some of the highest eviction areas include pockets in my district. For affordable housing, many solutions center on home ownership. I want to ensure that we do not forget those who rent as well. I believe our work is to build ladders of opportunity for families working to make ends meet, and I support the creation of the Taskforce on Neighborhoods in Transition to review strategies to support low income residents vulnerable to increases in rent costs. 4. The number of households headed by someone aged 65 or older is projected to increase significantly over the next decade and beyond. What specific recommendations do you have to meet the needs of our growing senior population? Growing up, I only knew my grandmother in her senior years. To this day, I remember her as one of the most vibrant woman that I have ever knows. She was a pillar of the community who local leaders called on. The single park in the community where I grew up, was initiated by petition with signatures that she collected door to door. She was a leader in her church who fostered youth in a home that was the heartbeat of the neighborhood. Her life is a constant reminder to me of the essentiality of our whole community, and how seniors in our community play many roles to help our neighborhoods thrive. It’s true that Lexington’s aging population is growing. Some estimates say that the over 65 population will reach 71 million by 2030 – that’s double the number from 2006. I believe that Lexington should be a community where seniors may comfortably age in place – where they have retirement security, housing stability, and have access recreational options that encourage healthy living. For our seniors, a well-designed community that is livable and accessible is more than an amenity – it’s a necessity. Local government should prioritize high quality transportation options and pedestrian friendly infrastructure, promote local aging networks and mixed-generation opportunities, police predatory lenders, and leaders must understand that housing affordability is essential to aging in place, particularly for low-income residents. 5. Do you support an annual funding allocation for Lexington’s Purchase of Development Rights Program (PDR)? Please list your specific ideas to support the continued strength and growth of our agricultural and tourism industries. A dynamic local economy is vital to open access to ladders of opportunity and improve the overall quality of life for all Lexingtonians. As we attract and grow new businesses and support a growing network of energetic and diverse entrepreneurs, the strength of our signature industries continues to be important. That includes supporting our agriculture and equine industry. The PDR program is a lever for land stewardship that also benefits farmers to diversify crops or invest in equipment or other technical solutions. We can also look to our signature industries for new and innovative workforce solutions as opportunities for growth in hi-tech agriculture are being grown right here in Lexington. That could have implications for job growth in Lexington and throughout the region. 6. Citizens have noted frustration with traffic congestion. What are your specific ideas to address traffic congestion? Effective and efficient public transportation contributes to the economy, promotes sustainability, and enhances our quality of life as a personal mobility option for all Lexingtonians. With emerging services across ride-share, bike-share, fixed route buses, and paratransit, we have the opportunity to begin to create consistency, efficiency and alignment for a broad set of equitable mobility options for all residents as one strategy to reduce road congestion. 7. The 2018 Comprehensive Plan for Lexington includes a goal to create “a new process for determining long-term land use decisions” involving the Urban Services Boundary and Rural Activity Centers. If you support the creation of this new process, what are some of the elements that should be included? Embedded in the objectives of the Comprehensive Plan’s goal to create a new process for long term land use decisions is a commitment to data informed decision making, with perspectives from stakeholders and residents. I believe those components are essential for a thoughtful and intentional process. 8. What is the biggest challenge facing your district? What are your specific recommendations to address that challenge? The biggest priority for our community has to be our support and investment in our young people. I’m calling for an all-in cradle to career strategy that that looks along the entire path of a child and asks at each point along that path, how are we supporting kids. That requires a commitment to access to high quality early care and education, community-based partnerships for mentorship and enrichment, and career-connected learning. True community support for kids values the entire ecosystem around that child, and I look forward to building new partnerships that advance better and more equitable solutions for children and youth. ©2019 The Fayette Alliance. All Rights Reserved.